Lesser Broad-bordered Yellow Underwing, Noctua janthe. 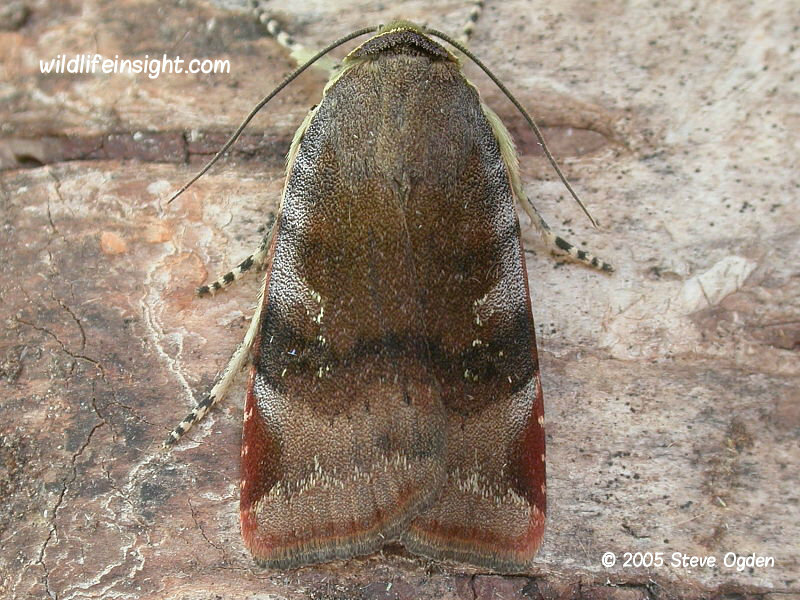 The Lesser Broad-bordered Yellow Underwing is a very common species through much of the British Isles and Europe. It flies in a single generation between July and September when it may be found in a wide variety of different habitats including gardens, woodlands and open countryside. It’s attracted to light, sometimes in large numbers. 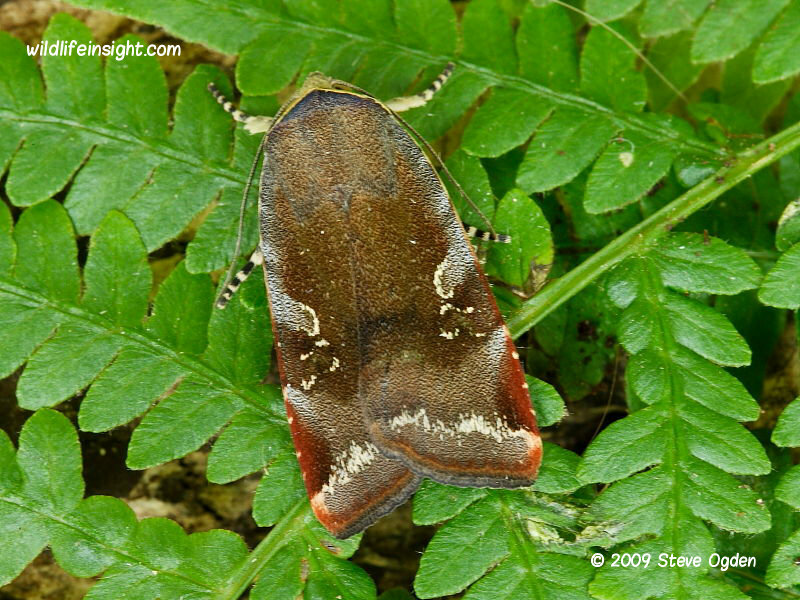 The Lesser Broad-bordered Yellow Underwing has a wingspan of about 40 mm. The hindwings, which are hidden when at rest, are yellowy orange with a black, broad sub terminal band. Other common Yellow Underwing species include the Large Yellow Underwing, Broad-bordered Yellow Underwing, Lesser Yellow Underwing and Least Yellow Underwing. Scarcer species include Langmaid’s Yellow Underwing and Lunar Yellow Underwing. The caterpillars are up to 40 mm in length and feed on a wide variety of herbaceous plants, shrubs and deciduous trees. They overwinter when partly grown and pupate in the ground in the spring. Information and photographs of the Lesser Broad-bordered Yellow Underwing caterpillar will be added shortly.